I'LL SEE YOU IN HEAVEN MY LITTLE ANGEL!! Dean This was absolutely beautiful and a perfect tribute for a perfect little angel that we loved very much. We believe they have horses in heaven for special babies like Keith. He was such a sweetheart. This little angel stays in our heart- although he's in heaven-we're never apart. I am touched by your story and I cannot imagine your pain of losing a child. I cammend you with the ability to go on living. I have 3 beatiful children and I just want to give them the biggest hugs right now. I am sorry for your loss! I'm sorry to hear about your loss. One day you will be able to see your baby boy in that great place they call heaven. Dena & Keith: My thoughts and prayers are with you both, Always. No parent should have to lose a child in so short of time on earth. I like to believe that your little angel is looking down on you both and guiding you both in making the right desicions in your life. I am so very thankful that I had the chance to become friends with the two of you. I wish that I had the chance to have met your 1st son like I have your 2nd son, Kevin. Julie showed this to me. You did a wonderful job...Keith was lucky to have you! Mike, a friend of Keith Sr. Happy Birthday, Keith Jr. It is obvious that your mom and dad loved you, and they enjoyed having you on your short journey through this world. What a beautiful web site and a beautiful tribute to your adorable little boy. I'm so sorry for your loss. I have two sons myself and cannot imagine losing either one of them. God Bless you and be with you. Dena and Keith, Thanks for sharing such a personal part of your lives. What a joy to know that during his short time here, Keith Jr. had all the love and attention a little boy could want. I am so sorry to hear of your loss!!! It's never easy to lose the ones you love so much!! 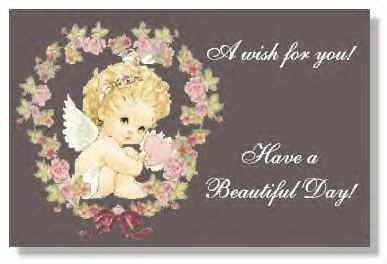 I hope your doing well and may god bless you!!!!!! Ever need a friend to talk to just e-mail me!! Dena you are blessed, to be able to have that time with a little angel like Kieth. In his eyes, his smile, his expression, he is you and you are him. BABY KEITH IS A BEAUTIFUL ANGEL WATCHING OVER US ALL. I AM SO SORRY FOR THE LOSS OF YOUR BEAUTIFUL SON. YOU WILL FOREVER BE IN MY HEART. Although it's been 10 years, my heart still feels like it was yesterday. Not a day goes by that I don't think of him. I've been carrying him with me in a locket since he left. The inscription on the locket reads "My Baby". He was my baby as much as he was yours....I've always loved him that much. He was the warmth that my heart held. When he left, so did that warmth. I love him so much! i miss him. I FEEL SAD FOR THE LOSS OF KEITH, TO KEITH'S PARENTS. NO ONE KNOWS THE HURT AND PAIN USES WENT THROUTH. HE'S A HANDSOME BOY. PRAYERS YOUR WAY,BRUCE SR.
That is an absolutly beautiful web page. I am very sorry for your loss. god bless always. He seems to be loved very much. God bless you. Dena- I had no idea. This is a beautiful website and wonderful tribute. God Bless You. MY HEART IS WITH YOU ALL ..AND BABY KEITH.. I think this is a darling thing to do for your baby. I just dont understand why? Why did he go? Was there an underlying disease? read your story with tears and smiles. what a beautiful boy baby keith was. we have lost 2 boys of our own, one, brandon as an infant and our 13 year old jared 2 years ago. it's a club no one wants to be a member of. reading others stories has been a great help to me and i thank you for that. Wow. I very touched by your web page. I'm very sorry for your loss. He was beautiful. I work as a nurse at Children's hospital and I know it is very difficult to deal with the loss of a child. God Bless. god bless you and your family, as i was looking at the pics of baby kieth and the messages i cried, it really got to me and i just want you to know that i will think of him often and the pain you had to go through and continue to go through. I didn't know Keith or your family, i was just going trough the homepages and came across this. I have just lost 3 close friends to me 2 in a car accident and 1 over suicide. I cried when I read this because it really got to me. I am very sorry about your loss. But this site for some reason made me feel a little more at peace over my loss, i can't understand why. But thank you. This is a great page and i will keep you in my prayers. God Bless. A living tribute that touches my heart. It tells the depth of the love you have for Keith and always will. Happy 12 Birthday baby Kieth..
Just ran upon the site. You did a great job on it. I enjoyed reading your page. May God bless you and your family. Such a beautiful baby!!! May God bless you!! Beautifull baby!!!! May I ask why he passed away? Was it due to him being a preemie? thank you. The webpage was very beautiful. May God bless you!! So sorry to hear of your loss. I can't imagine the pain you have to go through just to get through the daily rituals after something devastating. How/why did he die? It might be helpful to others if you explained it here. So no one else has to go through what you did. May God continue to wrap you in his warm & loving hands! VERY NICE TRIBUTE TO YOUR SON. COULDN'T IMAGINE THE PAIN OF LOSING A CHILD HOPE YOU HAVE STENGTH & KNOWLEDGE IS IN HEAVEN. MY HEART GOES OUT TO YOU! I am so sorry for your loss. I cried when i read it, may God bless your family and your little angel. What a beautiful story of a precious life. I am so sorry to hear about your lose. This page is such an awsome tribute. Thank you so much for sharing your little angel. May he be looking down on your family. I'm sorry I never got a chance to meet your sweet little boy.I'm sure he is quite happy up there in Heaven.HHHHhappy Belated Birthday Keith. Sincerly Yours, Patricia and Ariel Quinones. I don't know you nor did i know baby Keith. I was just looking at web pages to get some ideals on making my own.You see my husband and 2 year old daughter died Jan.17,00. And everyone has told me that if i do something like what you did it would help with my pain. Well anyways i just wanted to let you know that your pages have really touched my heart. I am so sorry to hear of your sons passing. I too lost my little boy a little while ago. I know that they are in Heaven, playing and having a great time. What made my lost so easy is that I know where he is and that he is always safe and happy. Someone told me not to dwell on the pass and move forward and live my life knowing that. I know that this is a difficult time for you, but thank you for sharing your story of Keith with us. He was a beautiful child. My deepest sympathy for your loss---God Bless You!! I found your page by trial and error..it was no error in finding it and reading each page. We have four grandchildren from ages one to six and have some feeling of what you and your family went through when you lost Kieth..My son-in-law is named Kieth.God bless you and I am sure that little Kieth looks down at you every day. I want to give you my deepest sypmpathy in the loss of "Baby Keith." Just remember that he is somewhere that he will be taken care of until you can hold him in your arms again. Just know that he loves you and is looking down on you always. YOUR PAGE IS ABSOLUTELY ADORABLE. YOU DID A WONDERFUL JOB AND I'M SORRY FOR YOUR LOSS. I'm looking at this again on the eve of Easter and it brings tears to my eyes. I can't begin to imagine your pain. You are a great mom and eventhough his time here was short we hold him in our hearts as we do you. Thank you for sharing your little one with everyone! I don't really know what to say. I have 3 children and from the looks of your pic we are probably about the same age. My oldest was born on March 7, 1987. I can't begin to imagine what you have been thru, BUT I do believe that you will be reunited again!!! I like others wondered what happened? If you don't want to talk about that I understand. But maybe if there is some sort of fund or place some of us can make donations to help prevent this let us know!!! THANK YOU and HAPPY BIRTHDAY SWEET ONE!! You have a very nice web site and Keith was a very cute little boy , I feel sorry for you. I am so sorry for your loss. There must be no greater pain then the pain of losing a child. I have two children and couldn't imagine going on living without them. Baby Kieth has touched my heart through these beautiful pages you've created in his memory. He is a beautiful baby. God bless you both. Happy Birthday Keith in heaven, Keith!! I loved this web-site very touching. I am sorry about your loss I wouldnt be able to understand the pain you are going threw! I wish you the best in the future, I know this was a while ago but must still be hard to deal with. Best wishes! I am so touched by your story and I have 2 babies of my own and can only begin to imagine what you must feel like every day. I think it is wonderful how you are keeping his memory alive! i could not even imagine the pain you have gone through. your sweet little boy is in my prayers and so are you. now that he is watching over you and his spirit is always with you. i have lossed a love one and i know the pain. although mine doest not even compare to yours. be strong and remember he is watching you and it would only make him hurt to see you sad and hurt to. remembering that is what helped me get through the bad times. i often dream about my loved one, and it makes me feel that he is always there watching over me. i know there is nothing anyone could say to make the pain go away. but that you stay strong and with everyones prayers you will be with your son and be hole again. I'm so sorry you had to experience the loss of a child, please accept my heartfelt condolences. Your page is so beautiful, such a wonderful way to share the life of your little boy. I am so touched that I was able to see your precious angel, thank you from the bottom of my heart for sharing this site. May God Be With You. I am so sorry for you loss. I am curious as to how he passed on, but it is not important. The letter your niece wrote is indescribable. I can't believe a 10 year old wrote that. WOW.. You could see the love coming out of that paper. I hope that you were able to conceive other children and we wish you all the best. I couldn't imaging losing my son. He's 6 months and I feel like he's been with me forever. Your website was just beautiful. God Bless you and your family. SO TERRIBLE TO LOSE SUCH A PRECIOUS LITTLE THING.I'VE LOST SO MUCH MYSELF,MY SIS,MY BRO. AND MY SIS'S OLDEST SON,ALL IN A CAR WRECK TOGETHER!I KNOW HOW HARD IT IS TO LOSE A PART OF THE FAMILY,IT'S VERY HARD!! !THE HARDEST THING TO GO THROUGH IN LIFE ITSELF.HER SON WAS JUST 3 Y.O,MY MOM IS RAISING HER YOUNGEST,WHO WAS JUST 8 MONTHS OLD AT THE TIME,NOW HE'S 8 Y.O.GUESS I BETTER STOP BEFORE I BEGIN TO CRY. THIS IS SUCH A BEAUTIFUL STORY YOU HAVE CREATED WITH THE SHORT TIME YOU HAD WITH KEITH.I APPLAUD YOU FOR HAVING THE STRENGTH TO CONTINUE WITH YOUR LIFE,AND THE COURAGE TO WRITE AND TELL THE STORY OF YOUR BEAUTIFUL,HANDSOM SON!!! GOD BLESS YOU AND YOUR FAMILY. What a beautiful way to keep your son's memory alive. Thank you so much for sharing your story with us. It made me realize how precious they are and how you can take their presence for granted. Your family will be in my thoughts and prayers always. I feel like I knew him myself. What a beautiful memory of your sweet baby. I am curious as to what happened? If it hurts to much to tell the ending story, I understand. I have 3 boys myself and am pregnant with my 4th. They are so special to me and I cherish every second I have with them. God bless you and your family. I am soo sorry for your loss. I can not imagine what you have been going through all these years. I have three children. ages 7, 20 months, and 4 months. I cant imagine life without them. God Bless your little angel. I'm so sorry of his paasing. He was a beautiful baby boy. I have 3 boys of my own and don't know what to do if I lost them or my daughter. God Bless you and your family. God bless you and your family. What a wonderful website for your little boy angel in heaven watching over you. Baby Keith is such a sweet precious little angel! I am so sorry to hear about what happened!! your website is an awesome tribute to your son. I can't imagine your loss. I don't know if I missed it but I was wondering what happened. If it is too painful, I understand. I am sure keith is looking down from heaven and thanking you for the great time he did have with you and for all the memories you are keeping of him. I am so sorry for your loss. While I was reading you pages, I couldn't help but wonder what happened to Baby Keith? He looked so healthy? May God still ease your pain. What a beautiful tribute! Thanks for sharing your website with others...it truly is a reminder that God has his plans and that he doesn't just call home-the sick newborn or the old and weak. He calls his angels one by one and according to his master plan. Rest in Peace Baby Keith. I received a link to your son's website through a newsletter. I was deeply touched by what a beautiful job you did with this. You made it feel almost as though I knew him. I am so very sorry for you. What happened if you don't mind me asking? Is there a spot on here that I overlooked? I have a 14 month old and a 4 year old and I truly cannot imagine your pain and agony. It is obvious the love you have for him. Even though his journey here was entirely too brief, I can see it was very happy for him. Happy Birthday sweet, precious boy. In honor of your 12th birthday, another stranger comes and wishes you well. Also to let your Mommy know that her love for you shines through in all that she has done here. We all pray that your family is well. We were touched by the dedication to your memory, by your mother, so much so that we had to run and hug our little one and be thankful that he is here with us. God Bless. What a lovely child . The web page is a wonderful way to tell all your story . I'm so sorry for your loss, I could never imagine losing a child of my own. This is a very lovely page in tribute to your beautiful little boy Keith. I know in heaven there are horses for him, I dont think it would be any other way. I am truely sorry for your lost. I am so tearful and at a loss of words. My thoughts are with you and your family. Happy Birthday Baby Keith! My prayers are with you and your family. ~*~*~SPRINKLES~*~*~ of Luck and wishes of good cheer telling thee that I was here. I brought you some gifts and a sprinkling of dust. This dust brings you luck and a wish for all your dreams to come true. Also a spirit stick as well for you to share and pass on for such a spirited site. What a nice way to remember your child. I am sorry for your loss and know that he is well taking care of in heaven. Beautiful memorial site. Whish you strength for the future. Tears are rolling down my cheeks as I read and turned each and every page. I know that this is only the teeniest part of what you have had to endure. I hope that you have had many children after Keith. I also know that no child can ever replace him. I also lost my first born. But not in the same way that you did. I take of my hat to you to be able to put together such a fantastic site in his memory for his 12 birthday. What a wonderful way to celebrate his 12 birthday. What a joyful event. What a beautiful way to celebrate his life and the love that you have for each other. What a great way you are remembering him. WHAT A FANTASTIC MODEL YOU ARE FOR OTHER MOTHERS AND FATHERS THAT HAVE TO GIVE THE LORD BACK THE LITTLE SPIRT. I love your poem at the end. I would love to support your web site as you go thru TSF. I came here to sprinkle fairy dust on your site for the Site Fights and have been very touched by your dedication to your son. The photos are beautiful and he looks like an angel and a pleasure I am sure while he was with you. God Bless you. I love this website........ woo now i have no make-up on anymore. I you don't mind.. could u please tell me what happen to this beautiful little boy. How did he die? You have a beautiful child, and he obviously has a great mom. Happy Mother's Day! Over the fields and Through the woods, To your site I did go. To say 'Good Luck' and Send a spirit stick your way is why I came to your site today. A very touching site. Keep up the good work. this touched my heart and keith is so cute well i just lost my cousin and i know how it feels..
WhiteAngel came by today, to wish you luck in her own way. You've made a beautiful memorial site. I just realized your guestbook didn't take html so I will try to write something. I really enjoyed viewing all of the pictures on your site and I think it is a really great way to remember your son and to share his memory with everyone. I am here to dust your guestbook for the site fights and DRealm of DSpirit. Good luck in the site fights! I came across your page in the AOL directory. I must say it just broke my heart to hear about Keith as a mother of almost 2 myself. I think the page is a great remembrance of him. Best wishes. What a beautiful baby boy.You have made a beautiful page. My heart goes out to you. He is watching from above. A very moving site. I am sorry for your loss. This is a beautiful web site. It is so sad though. I am truly sorry for your loss. Baby Keith looked like such a little sweetie. I like your new first page. Good luck at The Site Fights. Here a spirit stick passed from me to youWell, my work here his done, keep up the great spirit and have some fun!!!!!! Isn't the night beutiful? Speaking of beutiful things, Your page is so cool! Still, doncha think it's missing something? ~*Sprinkles*~ Doesn't that add to the decor a bit? ;-) Now that I'm done, I wanna tell you a secret! Your page is full of spirit! Great Job! My thoughts and prayers are with the family and with Baby Keith. I had a couisin who passed away just one year after birth but I can't say that I know what you are going through cause it was not my child. I praise you for finding the strength to put all of these wonderful memories together to share with the rest of the world. Did you ever get any answers on what was wrong with Baby Keith? Did you ever have any more children? I hope life has been kind to you since this happened it seems as though the bad things always happen to the best people. I do not feel ready at this point in my life to have children since I am only 24 years of age but when I do I will keep this story with me always. I hope that through you I will be able to find strength when things are going as well as expected. Your site is wonderful! It almost made me cry. It's so saddening when someone is taken away, especially that young. May God Bless you and your family. You have a very beautiful site! I have a 2 year old little girl, and she is the light of my life. I can't say that I understand the pain of losing a child, but I look at my little girl everyday and pray that she is with me for a long, long time. God Bless you for all the love you gave to Baby Keith before he joined our Heavenly Father and for all the love you continue to give to him and to those around you. What a beautiful little boy!! I hope not to seem morbid, but I did rather want to know what happened to him. And I wanted to know if you ever had anymore children. Take care. I can only imagine how hard his death must've been on your family. I don't know what would happen here if anything happened to my daughters, Skye (3 1/2)or Sydney (10 mos.). Sorry for your loss, and if you don't mind, I'd like to ask how dear Keith departed from this world. I'm truly sorry if this pains you as a question. I love your page I don't know how you did it with out falling apart. Hi, this is the second visit that I have made to your site and for some reason I still went through and read everything, instead of just browsing which is what I intended to do. You have a great site and a wonderful reason to create a site. Keep up the good work. This is a wonderful memorial for your son. Now on to the reason I came to your site in the first place. :) I came to dust your guest book and wish you luck in the site fights as a member of DAngelWing Flyers. Good Luck!! I miss you dearly little angel. I just happened to stumble across your website and I am truly sorry that you and your family to had to experience something so truly heart wrenching. Your website is a beautiful dedication to the memory of your son. i felt the need to view the site again, so i did. from beginning to end, i cried. whenever i look at my little angel, either on this site or in photos, the love i feel for him is as strong as ever. he was the most special person to ever touch my life and not a day goes by that he isn't on my mind. you've done a wonderful job with this site, dena. i'm sure your baby boy is looking down on you with love and pride. You page touched me greatly.. I know how it is to lose a loved one. Keith was a very beautiful baby. So healthy looking too....Some always ponder the reasons why god takes such precious people out of the world. God knows your grief, but baby keith is happy....he is near his savior looking down on his wonder family. I can partly understand what you are feeling as I have lost my baby too only mine went to Heaven a couple of days before she was born I lost my baby Savanna March 17th 1999 due to multiple placental infaractions (blood clots in the placenta and umbilical cord) It has gotten a little bit easier and you and I know the pain never goes away when you loose a part of you.Savanna was 8weeks early they induced my labor she was 1pound 14ounces and 14inches long so she was pretty tiny. This page really touched my heart. Baby Keith's an adorable baby! *This is to Keith* I hope you have a very happy 12th birthday up in heaven..... for an eternity, and I'm sure that everyone who comes here will read the story and will miss you too. Thank you for sharing your memories, it gave me some wonderful ideas of how to create a memory book for my son, who lost his father. I will pray for you all and keep you close in my thoughts. God Bless You. THIS IS MOST BEAUTIFUL TRIBUTE I EVER KNOWN. I SURFED UPON THIS ON FATHERS DAY. IT TRULY IMPACTS A PERSON ON HOW FRAGILE LIFE REALLY IS. I WANT TO HOLD MY OWN AND CHERISH THE TIME WE HAVE TOGETHER. TODAY IS A GIFT, TOMORROW IS NOT PROMISED. THANK-YOU FOR SHARING THIS BEAUTIFUL ANGEL WITH THE WORLD. GOD BLESS YOU AND YOUR FAMILY. And I gave a Shout of Glee! In this very simple way! Here's a spirit stick for you to pass around! Just wanted to say you did a very good job on the web site.God Bless you and your famly. What a BEAUTIFUL TRIBUTE...I'm so sorry that you had to lose your sweet baby...I can't imagine the pain you must feel even now, after all this time.. I'll keep you in my thoughts..
baby keith is blessed with the way you remember him. happy remembrance. you had a beautiful baby boy. sorry for your lose i know i dont know what you feel and i hope never will i am sure he is watching over you and your family. Hope you have a great day!! My these flowers make it a lot more special!! I ABSOLUTLY LOVED THIS WEBPAGE AND I AM REALLY SORRY ABOUT BABY KEITH WELL I WOULD JUST LIKE TO SAY HAPPY BIRTHDAY KEITH YOU WILL AND YOUR FAMILY WILL ALWAYS BE IM MY HEART. The most beautiful tribute that I have ever read. My thoughts and prayers are with you. What a loving tribute to your son. My little angel is almost 3 and I cannot even imagine my life without him. God bless you! That was a very beautiful page! Thank you for sharing baby Keiths life with us. I'm sure he was loved by each and every member of his family. May God Bless and Keep each and every one of you! This is so sad. My sorrow to all. Hey I just wanted to let you guys know I totally understand how it feels I just lost my brother 3 weeks ago in a drive by shooting. He would have turned 15 on July 4th. But I feel as though God needed an extra angel and I know that he is watching over me. And so is your little Keith. Well hey I just wanted to tell you that I feel your pain. on at The Dixie Angels! *~*~*~*~ Just stoppin by to say hello and lift you spirit! *~*~*~*~ Take care of your self! Be kind to all the horses in heaven :0) Much love to you. Your page was wonderful. I read through the whole thing, and now I have tears in my eyes. The poem you put fit the story perfect. Thank you for sharing all your pictures with me. good luck in the site wars. What a wonderful tribute to a beautiful little boy. I don't know the reason for his being called to heaven yet. I hope I can go back and find it. You have faced your hardest test. May the rest of your life go more smoothly. God Bless You All. YOU ARE VERY BRAVE!! I HAVE TWO CHILDREN CHARLIE HOW IS 2 AND MADDIE IS 6 MONTHS AND I AM SITTING HERE CRYING FOR THEM AND YOU. THIS SITE IS AN EXAMPLE OF A MOTHERS LOVE .. I just wanted to first say that I am so sorry for your loss. I could never imagine that pain. You did a wonderful job on this website and I shed many tears while looking through it. I hope you will never ever have to endure anymore pain as bad as this. May the lord be with you always. You have made a beautiful page and a fitting tribute to your special little boy. I have 4 children, my twins were born 11 weeks prematurely and we went through the rollercoaster of things at their birth not knowing if we would have them at the end of each passing day. The emotions in my heart right now as I wandered through the pages of your site have overwhelmed me. We take our children for granted I think and it takes a page like yours to make us see how lucky we are to have them. Thank you for sharing your story and your beautiful son with us. I'm so sorry for your loss. God be with you. Dixieland music is filling the air, Show us your dance moves, show us you care! We know you have spirit, we know you have joy, Come and have fun with every girl and boy! At The Site Wars, Everyone's a Star!! We lost our nephew in Jan. He was 14. I will pass on your beautiful web site to my brother and his wife. this is a lovely page i am sorry that you have lost such a wonderful person. I'm sure that time has helped with the pain and i sure you cherish your memories .i cried watching this.thank you.it really makes you think about what you have and how quickly it canbe taken away. I'm really sorry you lost your baby boy ..Your story really touched mine and my familys heart ..God bless you and your family. I have a daughter who just turned 12 years old. I know what a joy she and her younger sister are to us. I couldn't imagine life with out either of them. It doesn't seem fair that your beautiful little boy was taken away so suddenly and when he was so young. You are in our prayers. I don't know when I have ever been touched so much by anything I have seen on the web. What a lovely tribute to a much loved little boy! I know you miss him. God bless you and your family. "For you created my inmost being; you knit me together in my mothers' womb. I praise you because you are fearfully and wonderfully made; your works are wonderful, I know that full well. My frame was not hidden from you when I was made in the secret place. When I was woven together in the depths of the earth, your eyes saw my unformed body. All the days ordained for me were written in your book before one of them came to be." This precious creation of God himself needed an earthly mother for his short stay on this earth. And He choose you. What an honor! How it must hurt to have to surrender Keith back from where he came. I bet Jesus is rocking him in his arms right now. Matthew 5:3 Blessed are those who morn, for they will be comforted. what a beautiful tribute...not sure how i got here.but so glad.my son was 12 in aug dont know how i would deal without him..thankyou so much for sharing. As a parent, I can only attempt to understand your loss. A true loving tribute to a wonderful son. Stopping in to share Spirit! Roar and let us hear it! We are here to sprinklie dust with you! Dixie Angels friendship is true! As I sit here viewing your webpage, I have tears streaming down my face. God Bless you and your family and God Bless Keith. I am sitting here with my 14 month old daughter, Joi, in my lap. My 9 year old daughter, Ashleigh, is watching TV in the other room, unaware of my tears. I don't know what I would do if I lost either of my children...the thought makes me ache inside...and I ache for you and your lose. However, the pics of Keith made me smile...he is in heaven looking down on all of us right now, especially his family...HE'S SMILING! I will say a special prayer for Keith, you and you family tonight. Thank you and God Bless! I wish you all happiness. I do not know what it is like to lose a child, but I could only imagine all the pain you feel. I will pray for you. Stopping in with Spirit fast! We are here to party with you! Through the stars I have come to wish you the best and joy. Take the stars and run with them! I just want to say your page has touched my heart so much. Much love and strength to you and your husband. What a lovely memorial/tribute to your baby Keith. From the pictures, I can tell how much he was and is loved and that he is sorely missed by all in your family. The other thing that is very evident is how much faith you have which is what gets us through these difficult times. The pain of loss is never far away; we don't get over it, we just go on and eventually adapt to some degree and get used to the absence(s) in our life. Thank you again for your inspiring tribute to your son and for touching my life in such a significant way. God bless you. I loved your page. It was a beautiful tribute to a loved one. I've never seen anything like it. I'm sorry about your loss, but thank you for sharing your baby with us. He is darlin little boy that touched your lives and even mine. Your page is wonderful. Keep it going. i was looking for a website and i came across this one. it interested me b/c september 12 is my birthday. this is a really good reminder of how precious life is. just remember that one day you will all be reunited in heaven. From the pages, I don't know what happened to Baby Keith, but reading them...seeing his pictures...the memory lives on through you pages for people who never got the chance to know him. Beautiful tribute. Wishing you the best of luck and love. Good luck in the fights. May God bless you every day of your life. Even though your precious little Angel is not here in presence, he is watching over you, he is taking care of you, and he is loving you, every day and every moment of your life. I cannot tell you how beautiful it was to see your precious angel's pictures, quite beautiful baby. Always remember that God takes only but he best, he came down here for a reason, but was probably needed in Heaven more. Love you all. Please stay in touch. What a beautiful, beautiful baby boy. I have a son nearing 12 and seeing this made me rush to hug him. Bless you and your family. I was very touched and moved by this web site. I have two sons of my own and I couldn't imagine going on wothout them. May god bless you and your family. Your website warmed my heart, brought smiles to my face, and the tears to my eyes. 12 years, keep loving him! I'm Sorry For your Lost . May God Bless you And your family . My heart goes out to all those who knew and love Baby Keith. Just from looking at these web pages. I can tell that he was a special boy. My prayers and thoughts are with Baby Keith and his family. very beautifully done. I can tell how much you loved him. I lost a grandson i loved just as much. thank you for sharing. I am very sorry for the loss of your son, even though it has been so many years, I know that you still feel it. I lost 2 sons, but God has given me 2 daughters, so I am lucky I guess, but you never get over that loss. You have a great site, may God be with you always. What a beautiful little boy. And what wonderful memories. I understand what it is like to lose someone that special. I lost my little brother whet he was 13. And even though it has been almost 19 years I still miss him a lot. Hold those memories tight as God holds your little one. And know that someday you will be together again. God bless you and your family. This website has touched my heart very much, could not stop the tears from running down my face. I am also a parent of 2 children, and I can know what a mother feels for her children.I send my condolences, God Bless..
My heart just ached for your loss. Keith was a beautiful child and Praise God that he was a part of your lives even if for a short while. There is that old saying dynamite comes in small packages....... well so do small blessings. God Bless. I enjoyed your site. Prayers are with you! What a beautiful job you did on this site...I almost feel like I watched him grow for his short time here,,,He is a handsome boy! I am so sorry for your loss, being a mother myself (my son's name is Keith),I simply don't know how one goes on after the loss of a child! My heart aches for you and I offer a special prayer for you and your family. May God Bless you and give you the strength to keep going. This is the most heartwarming story I have ever read. I am writing through my tears now. He was truly a special little boy as all children are. Happy Birthday Baby Keith. I want to wish baby Keith Jr. a happy birthday and I'll pray for him. I know he's in a safe and happy place.Love you and best wishes to the family. What a thoughtful way to remember and honor your precious son. I am sure he is looking down from Heaven above and smiling, because he has such loving and wonderful parents who love him always. God Bless. My heart reaches out to you, in the memory of such a beautiful son. I'm so sorry to hear about baby Keith. Your page was truly touching. I'm sure he's heaven smiling down happy because he has a great set of parents who care and love him. He's just in a nother place...you'll see him again. The story of Keith has touched my heart. My heart goes out to his family. Baby Keith will never be forgotten! You have a beautiful little boy, he's very gorgeous. I know I say you 'have' because, although he is with his maker now, he's always going to be your little 'keith'. God bless you and your family and thank you for having the courage to put a dedication page up for everyone to see! BABY KEITH MY HEART IS WITH YOU AND FAMILY.I HAD TO COME BACK AND VISIT FOR THE 2ND TIME.GOD BLESS YOU ALL.WHY BABY KEITH? What a darling little man. I don't even know really what to say, how can you put in words the emotions brought on by the loss of a beautiful baby like yours! But as sad as it is, the truly sad part is that we are the ones gone....he is home!!!! Wonderful tribute to your precious Angel!!!!!!!!! Looking at the pictures and reading about him I have been crying my eyes out I have a 5 month old boy and a 18 month old boy (who is also very chubby and resembles Keith in a few of the pictures) I dont know what i would do without my babies so please Keith could you watch over them and please dont let them ever leave me. I know you are in heaven and you are an angle "GOD bless you"
Wow !!! What a wonderful site you have. Thanks for putting in So much work on it. I invite you to visit my home on the web, when you have a moment or two. I also am in Web competition, and I Would be honored if we could vote exchange, or if you would become one of my supporters, if you are not in competition, or aren’t allowed to VE. Please check out Fast Fun And Free, http://freestuff.at/fastfunandfree, to See if my site meets your voting exchange standards. Have a peaceful day ahead of you. Send a Fantasy Spirit Wand! LOVE AND GOD SPEED TO BABY KEITH'S PARENTS AND THEIR FAMILY. Hello Dena, I found this site while trying to figure out who was behind that high clq rating for Halflife. Never expected to find this. What a beautifull tribute to your baby! What a beautifull poem also. I saved it maybe I can help someone with it, hope you dont mind. If you wanna get to know me, goto www.motherware.com. Love Tineke. Words could never express what you've experienced but it's obvious how much you loved your baby Keith. This is a beautiful tribute and we can only hope that other mom's can be as loving to their babies. God Bless you all. God bless you and your family. I'm the mother of a 16 month old, and I think I will hug her a little tighter when she goes to bed tonight. Just know that your special angel will always be waiting for you in heaven. May God grant you peace! ALTHOUGH I DIDNT KNOW KEITH, HAVING THREE BOYS OF MY OWN, I CAN ONLY IMAGINE THE PAIN OF HIS LOSS TO YOU. I WILL SAY A LITTLE PRAYER FOR HIM, AND I KNOW HE IS IN GOOD HANDS NOW LOOKING DOWN ON YOU AND SMILEING AT YOU FOR BEING SUCH A GOOD AND LOVING MOTHER AND FATHER. GOD BLESS YOU KEITH YOU WILL BE MISSED,BUT NOT FORGOTTON. I cant even begin to tell you how terribly sorry I am for your loss. I actually stumbled upon your website while looking up photo frames and had to look at every beautiful picture of your angel Keith. God bless. I really think that keith was an exceptional little boy. He seemed to be smart and caring. I know u miss him but with the help of God you can get through it. That was a very touching story. I has a very close friend lose her son when he was just 3 due to scids. Im not sure if i missed it in there or it wasnt said what happened to Keith? very cute little boy.it brought me to tears. So sorry for your loss. I know it must be hard to deal with everyday, but rest assured that he is in good hands now and will be waiting to see you again someday. I can not help but cry, I do not even know how I cam across this page, God led me here I guess. I now have a 6 month old and I was looking for something to use for her dedication at church. My heart goes out to you, I do not evn know you and can not even imagine how you hurt but I know there has to be a special place in Heaven for little angels like yours. Hold on to that hope and know that some sweet day God will rejoin your family in a special way! I AM REALLY SORRY FOR YOU. YOU HAD A VERY BEATIFUL BABY BOY. I always come back to Keith's site, and although it makes me cry, it also makes me smile. Having lost Brandon and Jared the way we did, my heart is very tender at the loss of children of any age. My beautiful Amanda turned 13 on the 23rd of Januray. Just 1 day after Keith, Jr was born, we received the call that our new baby was ready to be picked up. Thabk you again for keeping Keith's memory alive and helping people like me. I was visiting sites around the Site Wars, and yours touched my heart. This site is a beautiful dedication to one of the worlds best treasures. God Bless. Thank you for sharing your precious child with me. My husband and I also lost our precious son. We did not get any time with him here because he was three months early and just wasn't ready. We miss him dearly and know the pain of losing a child. Our hearts go out to you and you are in our prayers. May our angel watch over you always in your time of pain as we believe he watches over us. THis is a really special site. I'm sure he's a happy little boy in heaven and many special people are taking care of him. I actually found this web site accidentally while searching for ideas for a friend's baby's 1st birthday party. I was so touched and saddened by the pictures and the comments you wrote. I'm so sorry and although I'm not a mother, I just cannot imagine the loss of a child. But I know he's in heaven and he's riding his horsies. Wishing you all the best from across the oceans. I was searching the net and found your website...Glad I did. You are a very special little Man, and I can see your family loves you very much. Happy 12th Birthday Sweetpea!!! this is very beutifull I am very sorry for your loss. I came across your website, and i have never seen such a beautifule memorial. I feel like i know Keith. I have two children and I am so thankful to have them. You have really touched my heart and I thank you for that. God Bless and I KNOW that Keith is riding horses, who knows, maybe even playin' horsie with Jesus? I was browsing threw homestead.. and by mistake I came across "Baby Keiths Page" instead. I dont think I made a mistake after all. I really enjoyed going threw all the pages.. and you did a GREAT job on the websites. I know your time was well spent in thought of him. May you and your un-forgettable son be together again. I'm sure that baby keith is having fun riding horses in heaven. He'll be waiting for you at the gate. I've been coming to this page every day since the site was published and I read all of the really kind things people write. It's Easter time again, and for some reason, this time of year is the hardest for me thinking about Baby Keith. It is so nice to be able to come to the site and reflect on the memories and see how much he's touched everyone else that has met him through his website. I want to take this time to personally thank everyone who has been here and signed the book and those who come here after today and sign the book. Every single entry in this book is special to me. Thank You... from the bottom of my heart. Happy Easter Baby Keith... Mommy Loves You and Misses You!!! Im so sorry for hearing about your loss. May god bless you and your little one. He will hold him in his arms for eternity. I found your site while looking for a poem to give my family as my baby angel Tyler 2nd anniversary of his going to heaven is this weekend (May 7). He would have just turned 3 on April 24. Thank you for letting me into your baby's sweet little life. My son Brandon just celebrated his 12th birthday, something I took for granted until I came across this site. I had to stop and pray to God and thank him for giving me that gift and also pray to him,that somehow you have found peace and meaning in the loss of your precious baby boy. My prayers are with you and your family,after losing my nephew at birth I found out that some babies are just to angelic to remain on this earth. He is a miracle. Just ponder for a moment, how much of a miracle he is. Think about what the odds are for ever “being” at all, vs. not “being”. Cosmic odds. The short amount of time he was with you is not important, he accomplished a wonderful thing, something that most of us never do in what we commonly consider a “full lifetime”. From the bigger picture, there is no difference between 19 months and 120 years, so please don’t feel that he was denied anything significant in the amount of time he was with you, he wasn’t. I know you know I’m a little warped to begin with, but here is how I know that. We are all riding along on the same wave of experience, among infinite waves. We are just on the same event horizon that has been occurring since the beginning of “time”, which is a huge “number”. If you take the amount of “time” any of us is “here” riding that wave, and divide that by the amount of time there has been “time”, you get a really really really super duper small number. The grain of sand on the beach of the Universe. There is no difference between 19 months and 120 years from that perspective. Just being a grain of sand on that beach is a miracle by itself. So really, Baby Keith is at least two miracles. The first one was living at all. The second was his grand achievement during his time on the wave. During his ride on the surf, he made this a better place to be. I can see that in you, and who you are, and how you are raising your son. I am sure there are other ways too. That is something that most of us can not say, even after a “full lifetime”. Don’t think he is “gone” either. He’s not. You can see him, feel him, and hear him if you can change your perspective just a little bit, and can open your heart and soul to listen and look for him. When I wandered through your tribute site today, I had one of those rare, brief moments of lucidity where you get chills on your spine and you can feel the hair standing up on the back of your neck, and where everything just sorta kinda makes sense, and you can almost, almost “get it”. Ya know what I mean? (So, ok, we already know I’m significantly warped.) You can see him riding the ponies on the first sunbeams of any given day. You can feel him against your face in the cool spring breezes as he wisps through the new green leaves of the trees. You can hear him giggling like a maniac in the sparrows songs of courtship. You can smell him in the sweet fragrance of night blooming jasmine. So you see, he is everywhere, ya just gotta tilt your head a little bit, and there he is! I gotta say he rides those sunbeam ponies like a champ! You are rightfully proud of your little angel. He is something special, and now has one of the coolest jobs in the world! You can hang out with him at anytime, just tilt your head a little. When you think about it, each and every one of is a miracle, in our own way. Keith’s story is a reminder that it is a mistake to take anything for granted. Especially time with loved ones (meaning family and friends). Do no harm, and try to make this a better place to be, before you too are called off the wave. In the meantime, Surfs Up! Grab your board and ride The Wave! Hello. After viewing the many pages of pictures of Keith I sort of felt a connection with him. I am truly sorry of your loss and I know that any amount of words of comfort could ever even to the pain on the day he went to be with the Father. Keith is happy where he is..and I know he would want you to be happy, too. Wow Dena. I was here many months ago and couldn't think of anything appropriate to say. I've thought about it for a couple months and still feel totally inadequate. I really can't imagine the grief that comes with losing a child. Looking at the website, you obvoiusly have many happy memories - remember the happy times and take heart that Keith is waiting for you in Heaven. It is a really nice site, and I am sure a fitting tribute to a sweet boy. I'm so sorry D. We all love you and are here for ya! I know, that there is a hidden reason as to why this had to happen, I just know there is. It's never easy loosing a loved one, espically when that loved one was not around very long. Looking at all your pictures of him, and reading all of the wonderful post on your site just goes to reinforce one simple rule in life that everyone should follow. Never, ever take time with your friends and family for granted. Make every moment with them special, don't let angry words or harsh actions get in the way of ever telling some one that you love them. Thanks for you being you Dena, and thanks for sharing this with us. God will watch over you, for you are a precious Angel. Happy B Day Little Keith. May the Lord contunue to provide you comfort with his grace, mercy and everlasting, unchanging love. D- The resilience that you have as a mother and as a woman is inspiring to me. As I have said before, you are a better woman than I am. You posses an amazing amount of life in sunshine. I am so grateful that I have gotten to share good times with you. Thank you so much for being my friend. Thank you for letting me visit with Baby Keith....What an emotional experience......Such a special little angel he is! I am very sorry about your loss and would also like to commend you for putting together such beautiful and toughing tribute to such a sweet little angel. this was the most loving tribute...i know you miss him so, but god is always there and so is your son. i myself lost a little one but never even had the chance to know my angel. you have been blessed to a at least have what little time you did with him. i pray for god to forever help to ease your pain and hope that someday there will only be joy in your heart. To the parents of little Keith, I don't know how you have stayed so strong. I am recently a new mother and don't thing I could be strong if anything happend to my Noah. Keith was truly an angel sent from heaven and he will always be remembered by all of us. so sorry of your lose. i know how it feels i lost my angel Lucas just 1 month ago and as i write to you i am crying it is the most hardest thing in my life to have to deal with. i have 3 beautiful chidren one in heaven and i visit him every day. i can't understand why god has taken him away from us i had 8 and a half hours with him he looked so healthy he was born with the cord around his neck. i know my baby lucas is with alot of special baby's and older kids to watch over him and play with. Thank You for a beautiful site. This website is very special. The letter from his cousin is heartbreaking. I also lost my son, Isaiah Nathanial. If you don't mind that I ask, what happened to him? Why did he die? I am sorry for your loss. My little girl would have been 13 year old. TO baby Keith's loved ones. I am a mother of three children my self and I could not imagine the pain you have went through. I lost my eldest sister when I was 12, and I thought that was the hardest thing I ever had to deal with.Until I had my kids. My eldest child is now 15 but when he was 13 he was sent off to a youth development center (for 12 months) which was really a prison. I could not begin to tell you how lost and helpless I felt when I had to hand him over to those people. Who I did not know how they was going to treat him.I have heard of many things that go on in places like that and that scared me more than anything I have ever encountered in life. Not being able to protect him against any harm. I guess what I'm trying to say is that even though I have not lost a child of my own I know somewhat of how you may feel.I am very sorry for the loss of baby Keith but it's like the poem said the lord needed him for a special reason. I may not go to church or pray every day like I should but I am a believer in the lord and I think that's all that matters. I don't know how I stumbled in here. Just browsing pages I guess. But I'm glad I did. May God hold a special place in heaven just for Keith. This is a very beautiful site. Even though Keith is in heaven, with this site he can touch so many hearts. I feel for you. I lost my baby 6 months ago at birth due due to uterine rupture.His name was Dalton Michael Lout. He weighed 6lbs.7oz.and 18.5inches long. I'm having a really tough time. On top of losing Dalton, they had to do a hystrectomy. I would like to talk to you more but I can't go in any more detail on the computer. Please write me if want. Dena I found this website in the [TGP] message board and I have to tell you that in life we all have a past. All we (me) see is the best part of you when we are playing the game and we seem to for get sometimes that the people we play and have fun with are real people with real lives and real feelings. Seeing this site really drove this home and I thought you should know that I think of you as a real person and a strong one at that because you were able find the strength to go on with your life. As you know I have 2 kids of my own and I cannot possibly imagine in a lifetime the pain you must go through. You have touched my heart and brought a tear to my eye with this site and I ache for you. God bless you and your son Dena. This was a very beautiful website and I am sorry for your loss. But I am sure of this, it is heaven's gain to recieve such a wonderful child. You have obviously spent a great amount of time and have alot of talent to have put this website together. It's wonderful. God Bless You! I am sorry for your sons sudden death. Seeing his pictures made me break down in tears. I have a 2 year old daughter now and I could not imagine losing her she is my whole world. At least you will always have pictures and especially memories of him. I don't know how you could have gone on. I would not have been able to. ...another thought for you to "hear"...please, take the time buy this album, for this song, for you and your family: Artist: Eddie From Ohio Album: Actually Not Song: In Paradise It captured my thoughts of you and your family, and baby Keith the moment I heard it. Having lost my father and sister, I often look to music for mental cushion (if only for a little while), but this song seems crafted for you. I find it impossible to fathom your loss and wonder if its sometimes too painful to review this wonderful site or is a place you come to heal. In either case, I hope this helps in some small way. I'm honored that you shared this site with me. Some scripture I hold close to my heart: Trust in the Lord with all your heart; and lean not unto thy own understanding. In all thy ways acknowledge Him, and He shall direct thy paths. Proverbs 3:5,6 It looks to me, as though you live these verses of scripture. Your testimony and that of your precious child Keith's, will live on for eternity. I can see how God is using you & your circumstances of life to touch the lives of many. May God surround you with His loving arms. May He hold you close to His heart. May He continue to use you to bring glory to His name. Weeping endures for the night, but JOY comes in the morning! Love, GRANNY!!! Happy Birthday Sweetheart.. I love you and miss you very much. well baby keith, it's Easter time again. This holiday means a great deal to your mom, so please give her an extra warm hug, or try to put some comforting thoughts in her head to help her with any pain or sorrow she may experience over Easter. She may need reassurance from you that her future will be a bright one, full of happiness and love. Know that you are thought fondly of, and missed on this special holiday from all the people who's hearts you have touched. All who knew you in person, and also from the people who visit you in this site on a regular basis. God bless, keep watching over us, and keep us strong. I accidentally entered your web site. Baby Keith's story really touched my Heart. I currently have a little Baby, Mireya, who is going to turn 19 months on May 2, 2002. I guess I was really touched because looking at Mireya she currently about the same age your Keith was. My prayers go out to you and your family and that Little Angel Prayer is very comforting. I can't stop wondering how your Litte Angel passed away. WORDS CAN NOT EXPRESS HOW WONDERFUL BABY KEITH IS AS WELL AS HIS SITE. MY HEART IS BROKE AGAIN ! I MISS AND LOVE BABY KEITH SOOO MUCH. I FEEL VERY BLESSED AND LUCKY TO HAVE BEEN IN HIS LIFE. SORROW IS A TOUGH EMOTION AND IS VERY OVER-COMING. SORROW IS MY FIRST RESPONSE. THEN AFTER I COLLECT MY HEART AND MY THOUGHTS I REMEBER HOW HONORED I AM TO BE HIS "MICKEY". THANK YOU FOR DOING THIS TRIBUTE IT IS THE BEST PLACE ON THE NET AND IT ALLOWS ALL OF US TO SHARE IN HIS LIFE AGAIN. " HAPPY BIRTHDAY BABY KEITH WE ALL LOVE YOU !" LOVE, " MICKEY "
Happy belated birthday baby Keith. I hope lots of toys and fun stuff came your way. Take care of your mother and keep watching over us. There are no coincidences, everything is for a reason. I can't pretend knowing what a loss of this nature is, but I admire your courage, not once did I see the word "sorry". The prayer at the end was quite assuring. Thank you for this. Hey there Dena, beautiful pictures of a beautiful baby boy. I thought I was the only Alf fan out there. You did a wonderful job, I can't begin to imagine how difficult this must have been. 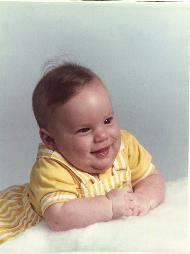 He certainly was a happy baby thats obvious. best wishes.. John. I had a loss in my family two of my cousins died one died of SIDS and the other die, by getting kicked by a horse. He was only 2 year old. I wasn't even born then but I still feel connected to him, because i'v seen pictures of him. Baby Keith seemed bless so many in the time he was here. I never saw him, but the spirit he has left behind is pleasant and sure to warm the hearts of all who are able to see him through the lenses of a camera. Still glimpses of a good life. I dont really know keith but I can imagine how special he was. However,I just had my first child this year and I know her days are numbered but my sympathy goes out to you all and I will always keep you and your family in my prayers. May god Bless you and keep you safe. Keith is an angel now, Dont worry about keith,he is in a place he will be always seen after and nothing will bother him. SO TAKE CARE AND LET HIM WALK AROUND HEAVEN AND ENJOY! THIS ARE SOME VERY SWEET PHOTOS.I'M SO SORRY ABOUT THE LOSS OF YOU BABY BOY.I KNOW THE FEELING OF THE LOSS OF A LOVE ONE.I WISH YOU THE BEST LUCK.JUST REMEMBER YOU HAVE A ANGEL ON YOUR SHOLDER NOW. Happy 16th Birthday Baby. I built this site 4 years ago in honor of your 12th birthday and it's been amazing therapy for me and probably for some of the others that love and miss you so. You started touching lives the minute you were born and you're still touching people today as they look at this website in your memory. I think of you every day and thank God for the blessing of having you in my life. You may not still be here physically, but you're always here in my heart. That was very sweet. He looks like a perfect angel. You have to know that he is being taken care of and is happy as he will ever be right now. What a beautiful, but sad and loving website. Your Mommy sure knows how to make beautiful web sites so we can see your pictures. You must have been a beautiful little boy the short time you were here on earth. Hi I am 14 years old I am so sorry about the lose of your family memeber just recently about 2 or 3 months ago I lost my dad I know what yall are going tho and when his birthday and stuff is here it is hard I know well anyways sorry about your lose of your baby boy keith JR. Thoughts and prayers are with you and your family. This site will continue to touch many hearts as it tries to heal yours. it was so touching. and baby keith you're such a cutie pie. you'll always be missing..